1596 – René Descartes born. French philosopher, mathematician, and writer who spent most of his adult life in the Dutch Republic. He has been dubbed the ‘Father of Modern Philosophy‘, and much subsequent Western philosophy is a response to his writings. 1878 – Jack Johnson born. American boxer. At the height of the Jim Crow era, Johnson became the first African American world heavyweight boxing champion (1908–1915). 1990 – 200,000 protestors took to the streets of London to protest against the newly introduced Poll Tax. The Poll Tax Riots were a series of mass disturbances, or riots, in British towns and cities during protests against the Community Charge (commonly known as the poll tax), introduced by the Conservative government led by Prime Minister Margaret Thatcher. The London event was by far the largest. The riot in central London, with the national opposition to the Community Charge (especially vehement in the North of England and Scotland) contributed to the downfall of Thatcher, who resigned as Prime Minister in November the same year, defending a tax which an opinion poll had found only 12% favoured. The next Prime Minister, John Major, announced it would be abolished. 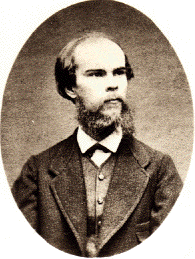 1844 – Paul Verlaine born. French poet associated with the Symbolist movement. He is considered one of the greatest representatives of the fin de siècle in international and French poetry. 1853 – Vincent van Gogh born. Dutch post-Impressionist painter whose work, notable for its rough beauty, emotional honesty and bold color, had a far-reaching influence on 20th-century art. After years of painful anxiety and frequent bouts of mental illness, he died aged 37 from a gunshot wound, generally accepted to be self-inflicted (although no gun was ever found).His work was then known to only a handful of people and appreciated by fewer still. 1905 – Albert Pierrepoint born. English hangman, he executed at least 400 people, about half of them war criminals. Pierrepoint was often dubbed the Official Executioner, despite there being no such job or title. The office of executioner had traditionally been performed by the local sheriff, who increasingly delegated the task to a person of suitable character, employed and paid only when required. Pierrepoint continued to work day jobs after qualifying as an Assistant Executioner in 1932 and a Chief Executioner in 1941, in the steps of his father and uncle. Following his retirement in 1956, the Home Office acknowledged Pierrepoint as the most efficient executioner in British history.There is no official tally of his hangings, which some have estimated at more than 600; the most commonly accepted figure is 435. 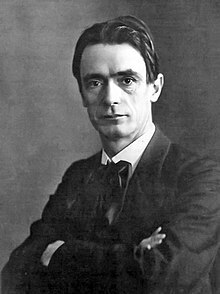 1925 – Rudolf Steiner died. Austrian philosopher, social reformer, architect, and esotericist. He gained initial recognition as a literary critic and cultural philosopher. At the beginning of the 20th century, he founded a spiritual movement, anthroposophy, as an esoteric philosophy growing out of idealist philosophy and with links to theosophy. 2004 – Timi Yuro died. American singer and songwriter. Sometimes called “the little girl with the big voice,” she is considered to be one of the first blue-eyed soul stylists of the rock era. 1948 – Harry Price died. British psychic researcher and author, who gained public prominence for his investigations into psychical phenomena and his exposing of fake spiritualists. He is best known for his well-publicized investigation of the purportedly haunted Borley Rectory in Essex, England. 193 – Roman Emperor Pertinax was assassinated by Praetorian Guards, who then sold the throne in an auction to Didius Julianus. Claudius Sulpicianus, prefect of the city, father-in-law of the murdered emperor began making offers. When Julianus, having been roused from a banquet by his wife and daughter,arrived in all haste, he was unable to gain admission to the auction, so stood before the gate, and with a loud voice competed for the prize. As the bidding went on, the soldiers reported to each of the two competitors, the one within the fortifications, the other outside the rampart, the sum offered by his rival. Eventually Sulpicianus promised 20,000 sesterces to every soldier; Julianus, fearing that Sulpicianus would gain the throne, then offered 25,000. The guards immediately closed with the offer of Julianus, threw open the gates, saluted him by the name of Caesar, and proclaimed him emperor. Threatened by the military, the Senate declared him emperor. 1871 – The Paris Commune was formally established in Paris. In a formal sense, it acted as the local authority, the city council (in French, the “commune”), which exercised power in Paris for two months in the spring of 1871. However, the conditions in which it formed, its controversial decrees, and the indiscriminate violence with which it was brutally suppressed make its brief tenure one of the more important political episodes in the history of working class revolutions. The Paris Commune existed before the split between anarchists and Marxists, and is hailed by both groups as the first assumption of power by the working class during the Industrial Revolution. 1958 – W. C. Handy died. Blues composer and musician, widely known as the “Father of the Blues”. Handy remains among the most influential of American songwriters. Though he was one of many musicians who played the distinctively American form of music known as the blues, he is credited with giving it its contemporary form. 1994 – Eugène Ionesco died. Romanian / French playwright and dramatist, and one of the foremost playwrights of the Theatre of the Absurd. Beyond ridiculing the most banal situations, Ionesco’s plays depict in a tangible way the solitude and insignificance of human existence. Tagged as 1871, 193, 1958, 1994, American, anarchists, banal situations, Blues composer, brutally suppressed, Claudius Sulpicianus, Didius Julianus, dramatist, entertainment, Eugene Ionesco, Father of the Blues, french, gaming, Industrial Revolution, insignificance of human existence., last words, libya, local authority, Marxists, musician, oscars, Paris, Pertinax, playwright, politics, Praetorian Guards, Roman Emperor, Romanian, Senate, solitude, songwriters, the city council, The Paris Commune, Theatre Of The Absurd, videogames, W.C. Handy, working class, working class revolutions. 1915 – Typhoid Mary, the first healthy carrier of disease ever identified in the United States, was put in quarantine for the second time, where she would remain for the rest of her life. Mary Mallon (September 23, 1869 – November 11, 1938) was identified as an asymptomatic carrier of the pathogen associated with typhoid fever. She was presumed to have (unintentionally) infected some 51 people, three of whom died, over the course of her career as a cook. She was forcibly isolated twice by public health authorities and died after a total of nearly three decades in isolation. 1972 – M. C. Escher died. Dutch graphic artist, known for his often mathematically inspired woodcuts, lithographs, and mezzotints featuring impossible constructions, explorations of infinity, architecture, and tessellations. 2000 – Ian Dury died. English singer, lyricist, bandleader, artist, and actor who initially rose to fame during the late 1970s. Founder and lead singer of Kilburn & the High Roads and Ian Dury and the Blockheads. 1814 – Joseph-Ignace Guillotin died. French physician who proposed in 1789 the use of a device to carry out death penalties in France. While he did not invent the guillotine, and in fact opposed the death penalty, his name became an eponym for it. The actual inventor of the prototype guillotine was Antoine Louis. 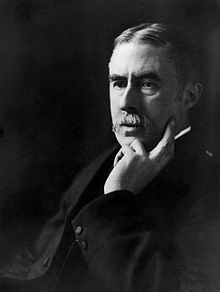 1859 – A. E. Housman born. English classical scholar and poet, best known to the general public for his cycle of poems A Shropshire Lad. Lyrical and almost epigrammatic in form, the poems’ wistful evocation of doomed youth in the English countryside, in spare language and distinctive imagery, appealed strongly to late Victorian and Edwardian taste, and to many early 20th century English composers (beginning with Arthur Somervell) both before and after the First World War. Through its song-setting the poetry became closely associated with that era, and with Shropshire itself. 1923 – Sarah Bernhardt died. French stage and early film actress, sometimes referred to as “the most famous actress the world has ever known“. She made her name on the stages of France in the 1870s, and was soon in demand in Europe and the Americas, and developed a reputation as a serious dramatic actress. In 1905, while performing in La Tosca in Teatro Lírico do Rio de Janeiro, she injured her right knee when jumping off the parapet in the final scene. The leg never healed properly, and by 1915 gangrene had set in and her entire right leg was amputated; she was required to use a wheelchair for several months. She reportedly refused a $10,000 offer by a showman to display her amputated leg as a medical curiosity and continued her career, often without using a wooden prosthetic limb; she had tried to use one but didn’t like it. She died from uremia following kidney failure in 1923; believed to have been 78 years old. 1950 – Teddy Pendergrass born. American R&B/soul singer and songwriter. Pendergrass first rose to fame as lead singer of Harold Melvin & the Blue Notes in the 1970s before a successful solo career at the end of the decade. In 1982, he was severely injured in an auto accident in Philadelphia, resulting in his being paralyzed from the waist down. 1959 – Raymond Chandler died. American novelist and screenwriter. Chandler had an immense stylistic influence on American popular literature, and is considered by many to be a founder, along with Dashiell Hammett, James M. Cain and other Black Mask writers, of the hard-boiled school of detective fiction. His protagonist, Philip Marlowe, along with Hammett’s Sam Spade, is considered by some to be synonymous with “private detective,” both having been played on screen by Humphrey Bogart, whom many considered to be the quintessential Marlowe. 1807 – The Slave Trade Act became law, abolishing the slave trade in the British Empire. The act abolished the slave trade but not slavery itself. Slavery on English soil was unsupported in English law and that position was confirmed in Somersett’s Case in 1772, but it remained legal in most of the British Empire until the Slavery Abolition Act 1833. 1931 – Tom Wilson born. 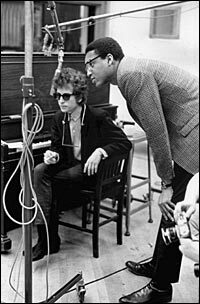 American record producer best known for his work with Sun Ra, Bob Dylan, Frank Zappa, Simon and Garfunkel and The Velvet Underground. 1942 – Aretha Franklin born. American musician, singer, songwriter, and pianist. In a recording career that has spanned over half a century, her repertoire has included gospel, jazz, blues, R&B, pop, rock and funk. She has been described as “the voice of the civil rights movement, the voice of the black America” and a symbol of black equality. She first became connected with the movement through her father, Reverend C.L. Franklin, a preacher, who traveled the country as well as recorded a weekly sermon for the radio station, WLAC, which reached 65 percent of the African-American population. On tours with her father, Franklin began her singing career. Rev. Franklin also introduced Franklin to Dr. Martin Luther King, Jr., starting a lifelong friendship between the two.